Avengers: Endgame directors the Russo Brothers are trolling Marvel Cinematic Universe fans and Ryan Reynolds in their new Twitter profile photo. Over the weekend, Reynolds, Hugh Jackman, and Jake Gyllenhaal got together for a holiday party and told the Deadpool star that it was an ugly Christmas sweater party. However, when Reynolds arrived, he was the only one wearing an ugly sweater, much to the delight of Gyllenhaal and Jackman, who posted a picture of themselves laughing at Reynolds on social media. Reynolds then took the photo and posted it himself, pretending to be angry at his friends. Joe Russo and Anthony Russo are more than likely taking a holiday break from working on Avengers: Endgame and noticed the image of Ryan Reynolds, Hugh Jackman, and Jake Gyllenhaal. The directing duo decided to use that picture for their Twitter profile, but they made some important changes. The image has the word “Fans” written over Reynolds’ sweater with Anthony and Joe Russo written across Gyllenhaal and Jackman, making it look like the directors are having a good laugh at all of the MCU fans across the world as they wait for any information about Avengers: Endgame. The new social media profile picture is just Joe and Anthony Russo having some holiday fun. The brothers love their fans, even when they start to go a bit nuts waiting for information about Avengers: Endgame. The first trailer for the sequel was released back at the beginning of the month and quickly set YouTube viewing records as fans tried to analyze every single frame from the brief trailer. One fan even decided to make a version that has Deadpool‘s head replace every character in the trailer, except for the Iron Man mask, which is replaced with a Wolverine mask instead. Related: Big Avengers: Endgame Spoiler Revealed in New Audi Promo Video? 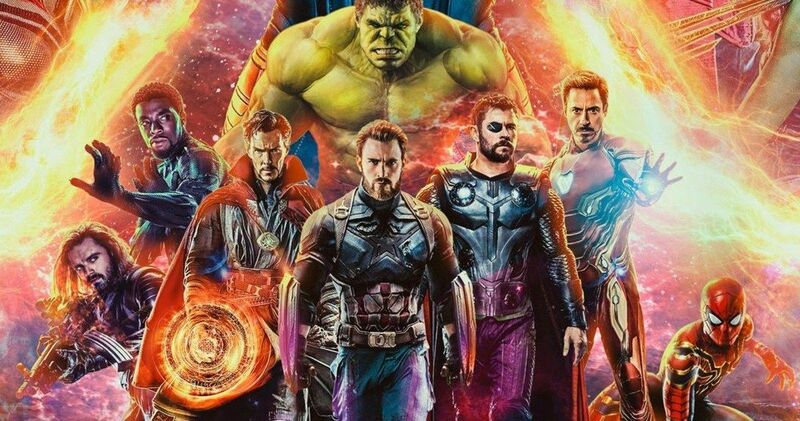 In Avengers: Endgame news, it’s looking like the movie could end up being three hours long, according to the Russo Brothers. Apparently there’s a lot of story to cram into the sequel and three hours could end up as the final run time. That being said, Disney may have other ideas and may try and get the Russos to edit it down to the standard two-and-a-half hour run time when all is said and done. But, this could end up being the longest movie in the MCU to date, which would make some fans pretty happy. Avengers 4 hits theaters at the end of April, so there’s plenty of time for the Russo Brothers to crack some more jokes while we all wait for more information about one of the highly anticipated movies of 2019. Thankfully, Captain Marvel will arrive in theaters at the beginning of March to give fans something to hang on to while waiting a few more weeks for the fourth Avengers movie to finally open in theaters. You can check out the new profile picture, which looks pretty awesome when paired with their Last Supper banner, below, thanks to the Russo Brothers Twitter account.